Pest infestation is a major problem for many of us. Be it in the residential spaces, commercial spaces, or anywhere else, people struggle with pest infestations often. One other thing that is disturbing is the fact that pests are hard to trace. Most of the times pests and their infestations remain undiscovered and we do not understand the depth of hazards that might be coming our way. You might think you are secured and your house is not vulnerable, some pests are already making preparations for spending time near the corners and inside the crevices of your abode. In this article, we will talk about a specific pest that is a huge problem in the United States. We will discuss EARWIGS and some crucial facts about that creature. Earwigs are believed to be harmful due to their pincers and the creatures are infamous for crawling into the ear canal of humans. Fortunately, they are practically not dangerous as they do not have any venom and their bites do not affect adults. However, it is always a wise idea to call a pest control service from Las Vegas and check for any pest infestation. The professionals will take the necessary steps to secure your house from any pest infestation. An earwig is a type of pest that is usually found in wet and cool areas. More than twenty species of earwigs can be found in the United States. One of the main defensive acts of this creature is producing a foul-smelling liquid. This act turns out to be highly effective when other insects like lizards prey on them. Earwigs generally get inside houses in search of food or due to weather change. Sometimes earwigs can enter your house through windows and open doors without any particular purpose. Dry and hot weather drives them to seek a comfortable shelter that will be cool and damp. Earwigs are nocturnal creatures and most of their activities can be traced at night. They spend the daytime resting inside crevices, damp spaces, under the rocks in your garden, etc. Artificial light sources greatly attract earwigs and as they are largely found in the garden, your evening time in your backyard might get disturbed. Earwigs have the ability to move swiftly from one place to another. They would run quickly to another place within seconds if intimidated by human activity or other causes. Their ability to run quickly is one of the main reasons why it is difficult to eradicate them from your living spaces. You need to take the assistance of professionals providing pest control service from Las Vegas in order to effectively get rid of earwigs. Some species of earwigs are predators but mostly they are found to feed on rotting vegetation, live sprouts, etc. Getting rid of earwigs and other pests is difficult. The trickiest part is that you never know where the last one is hiding. If you leave out one, you will find dozens within a few days, therefore, professional expertise is needed. You may also use chemicals, sprays and other solutions but that is not a good idea as those solutions can be harmful to humans too. What is advisable is that you call a pest control service in Las Vegas and get the infestations treated professionally. The best professionals will never compromise with the quality and safety of their work and will also secure your space from further infestations. Conclusion – Since a pest infestation is not a good thing to have in and around your living space, you need to find a reputed pest control service in Las Vegas at your disposal in order to eliminate any menace from your abode. 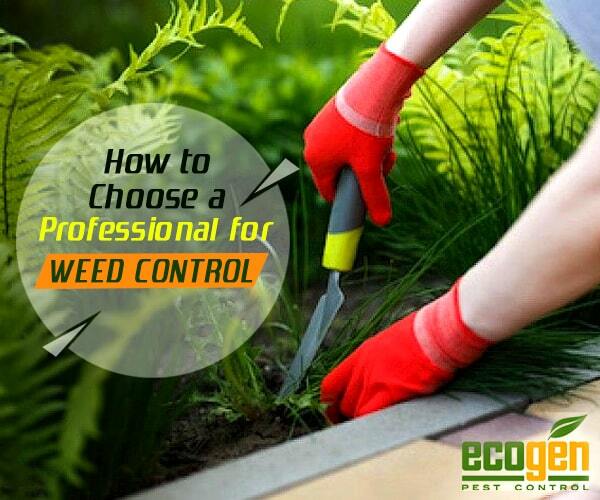 Best pest control service providers will use environment-friendly products and make sure their service is not harmful to humans. 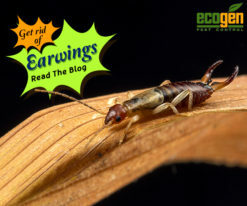 Now that you know the basics about earwigs, do not waste time anymore and eliminate the pests from your house right away. Just like any other pest, cockroaches are filthy and on top of that, those creatures spread diseases. 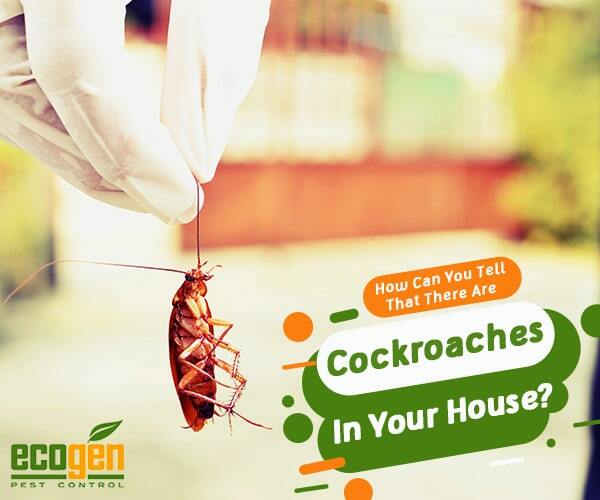 The characteristics of cockroaches are harmful to humans and they are especially dangerous in the houses that have children. Unlike ants and other easily visible pests, cockroaches are hard to find and see if they do not come out on their own. The worst part of cockroaches is that they are nocturnal and they carry out most of their activity during the night. Therefore, usually, it is hard to understand whether you have a cockroach infestation in your house or not. In order to ensure safety from the hazards of cockroaches, you can call the professionals providing pest control services in Southern Nevada. Though it is hard to understand whether your house is sheltering cockroaches or not, there are certain signs that can indicate cockroach infestations in your abode. If you closely look at the symptoms discussed later in this article, you are likely to understand if your house is already affected. Cockroaches like to hide in moist and dark places where you would usually look. Sometimes you can find little roaches at the back of your fridge, crevices in the bathroom walls and other dark places. Cockroaches have a special ability to flatten their body and hide in small areas. Physical evidence – The easiest and obvious way of being certain of cockroach infestation in your house in seeing them in and around your house. Most people are not so lucky to find them even if their house is infested. It totally depends on those creatures whether they would come out during the day or not. If you are seeing them regularly during the day time then the situation is worse. 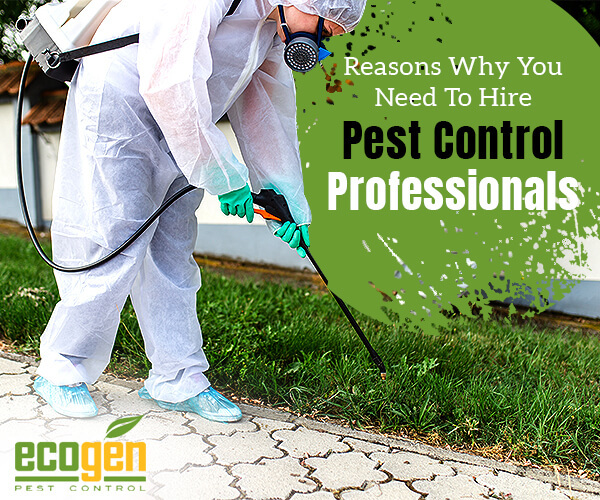 The infestations have grown to a serious level and you should opt for the best organic pest control service right away. Physical evidence includes a lot of other things other than seeing alive and agile cockroaches in your household. Sometimes you might see a brown-colored roach wing, a dead roach, a torn roach leg or antenna. If you see these things, your house might be infested. Roach feces – Cockroaches eat a lot and they feast on a lot of things. From the normal food we eat to plant matter, garbage, etc. The appetite of these creatures results in considerable amount of roach droppings. If your house has roach infestations then it is quite likely for you to find roach dropping in around your living space. Roach feces can look like a lot of things. For example, some roach droppings might look like black pepper while other roach droppings might look like black-colored oval pellets. Smell – This is one unmistakable way to be sure of roach infestations in your house. If there are cockroaches present in your house, you are likely to get a moist and strong odor. The smell is so strong that it won’t stay unnoticed. If you find any such smell, it is better to opt for pest control service in Southern Nevada. Conclusion – These are not necessarily the only signs of a roach infestation in your house. There are other indications but the aforementioned ones are the most prominent. 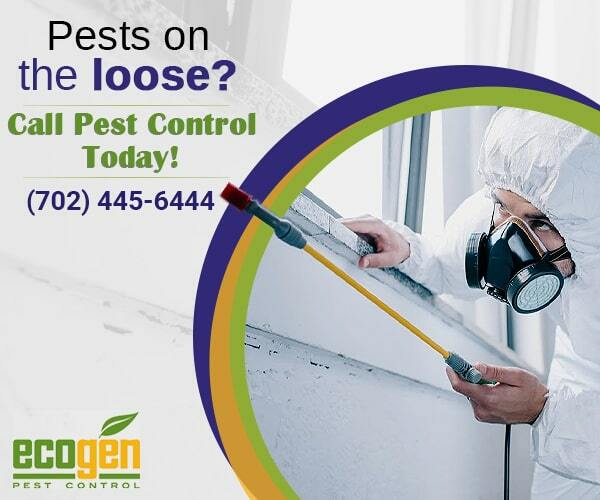 In order to keep your house safe at all times, opt for residential pest control service in Southern Nevada. The professionals would look for signs of pest infestations and take measures to eliminate them and prevent your house from further intrusion. Our homes generally have a lot of pests and we do not even notice them. Whatever the type of pest is, it is always necessary to get rid of any kind of infestation. One of the most ignored household pests is a spider. People often think that spiders are harmless and it is not necessary to get rid of them. It is a completely wrong idea as pests are not always harmful directly. Some pests like common house spiders invite problems differently. House spiders spread webs, get into clothing, contaminate food and do a lot of other things that are not acceptable in a healthy human habitat. The best way to get rid of these pests is to hire a pest control service in Nevada. 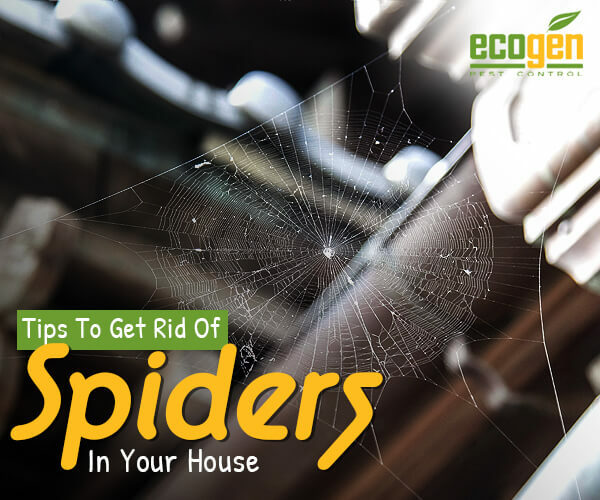 Though hiring professionals is the best way to get rid of any kind of pest infestation, be it a spider or any other creature, you can try some home remedies to keep spiders at bay for short period of time. Below is a list of few methods that will help you to control spiders in your house until you hire a professional pest control service in Nevada. Vacuum regularly – One of the easiest but effective way to drive spiders away is vacuuming. Vacuuming your place regularly can help you maintain sanitation and hygiene in your living space. Vacuuming will also remove the spider webs and make your interior clean and devoid of spiders. You should pay extra attention to those spaces where there is less footfall as spiders tend to build more webs in undisturbed spaces. You should also make sure that you are not leaving out on crevices and dark corners. Treat the outdoor area – The outdoor area is where you should pay attention to as it is the source of all kinds of pests. Always remember that every type of pests comes inside your home from the outside and spiders are no exception. If you want to restrict spider in your household, you need to control their movement outside your house. The best way to control spider around your house is by restricting other insects in your backyard or lawn. However, controlling insects in an outdoor space is not easy and you should always seek advice from professionals. Insecticides – There are specific insecticides available for spiders that can help you get rid of them easily. However, insecticides are potentially harmful and you should always let that thing be taken care of by the pest control professionals. Despite the risks, if you want to involve in the insecticide treatment on your own, you need to follow all the precautions and read through the usage instructions carefully. While applying insecticides, you must pay attention to those areas spiders usually dwell. Conclusion – Spiders can be an irritating and disturbing creature if they start dwelling inside your house. If you are not facing extreme problems, it is better to wait until the professional arrives. In your daily cleaning routine, you can practice some of the above-mentioned tips to keep your house free from spiders. However, a rigorous termination process is always performed better by pest control service in Nevada.